This was just a small (42 x 42 inch) quilt. It was pretty busy with all those pinwheels, so I decided to follow the straight lines and extend them through the pinwheels. That left some quite large empty blue squares, so I did a freehand diamond spiral in them. I can’t remember what threads I used for this one! 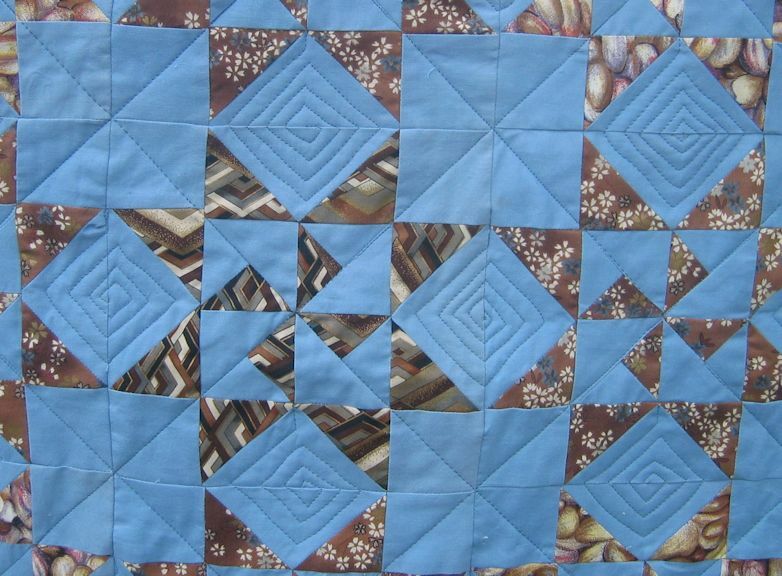 But I think it was a plain mid-to-dark blue for all the stitching on the top of the quilt. And yes, I used a ruler for all those straight lines — my favourite Line Tamer ruler. This is stunning Rhonda, love the diamond spirals. Nice job! 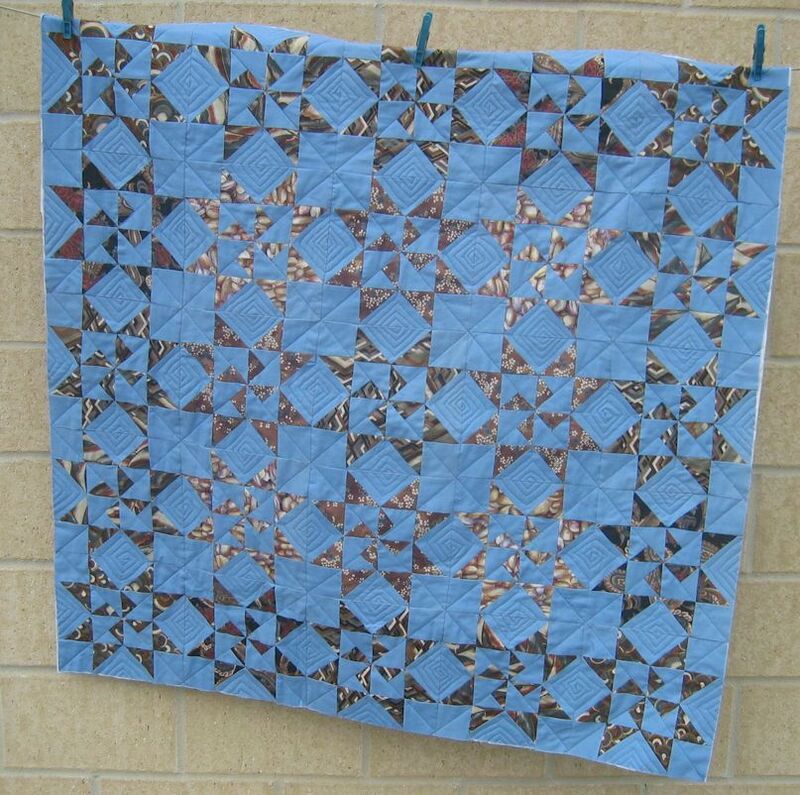 The quilting is totally in sync with the pattern…..love that “electric” blue! !